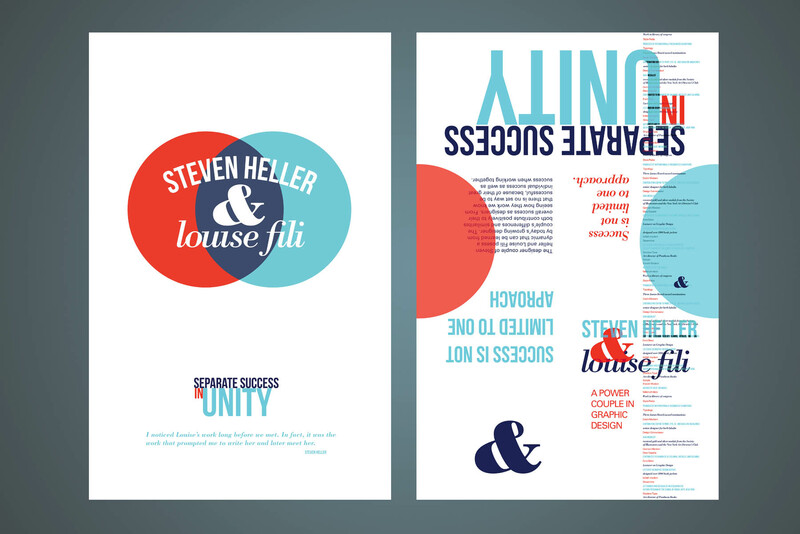 Separate success in unity is a folding poster developed to represent the creative success of Steven Heller and Louise Fili. 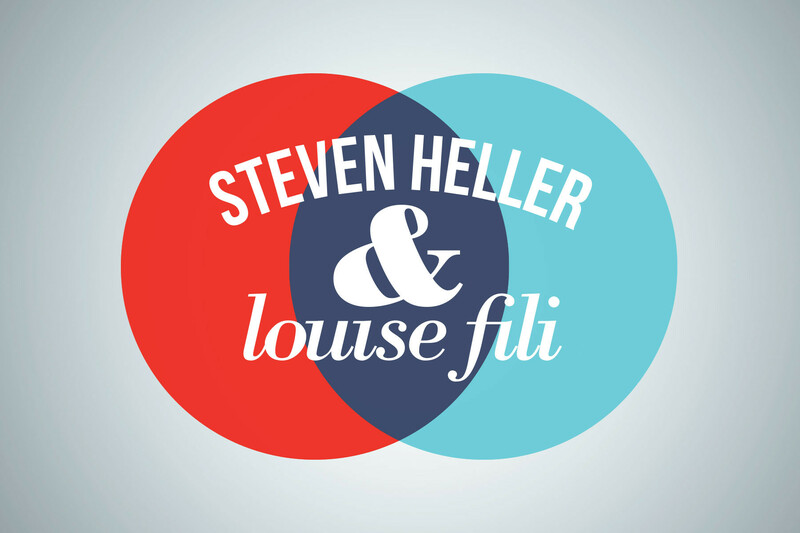 Both of these graphic designers are powerhouses in the industry, and are married to each other. They both create wildly successful works on their own, and in collaboration. 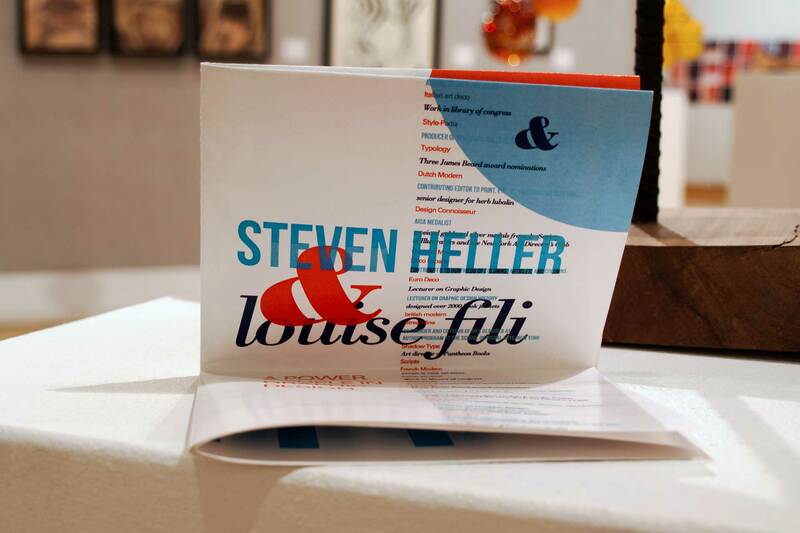 I wanted to highlight this ability to show how collaboration and individuality are both useful in the creative process, and how a married couple in the same field can be successful relationally and professionally at the same time. 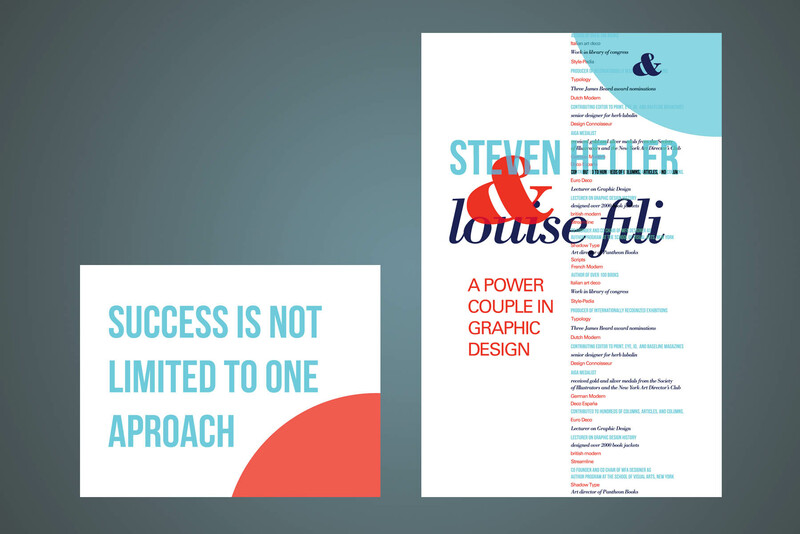 The challenge was to create a graphic that was able to communicate unity and individuality in the same composition, and visually communicate how these ideas can coexist. My solution to this was to use circles to represent the two individuals, and show these circles in various states of separation and unity. The colors of the circles are different to highlight the idea of individuality, and create a completely different color when they are overlapped, to show the power of creativity when two powerful minds are in collaboration. 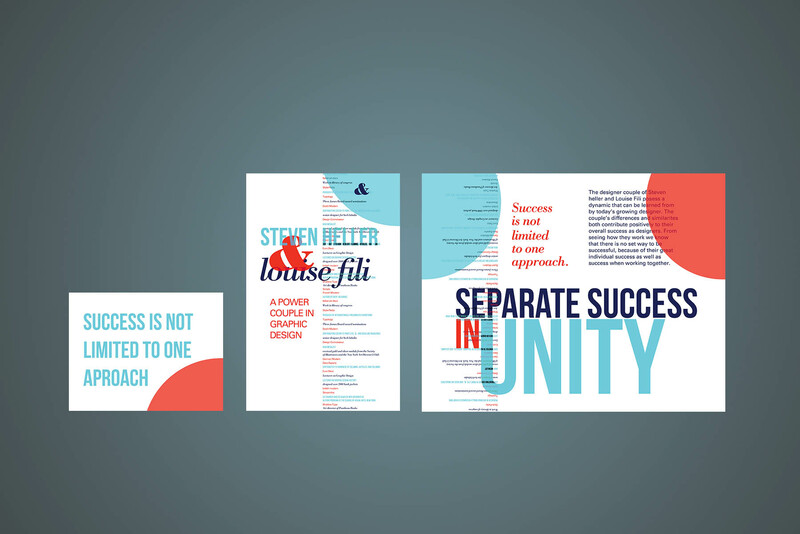 I chose the color palette as a way to covey a feeling of lively opportunity with professionalism. This in combination with the modular structure established by the folds creates a system that dynamically explores the ideas of unity and separation through the changing of composition each time the viewer continues to unfold the poster.